South Africa has become the first sub-Saharan African country to institutionalise its engagement with the International Energy Agency (IEA), a development that marks an important milestone for energy governance in Africa and globally. 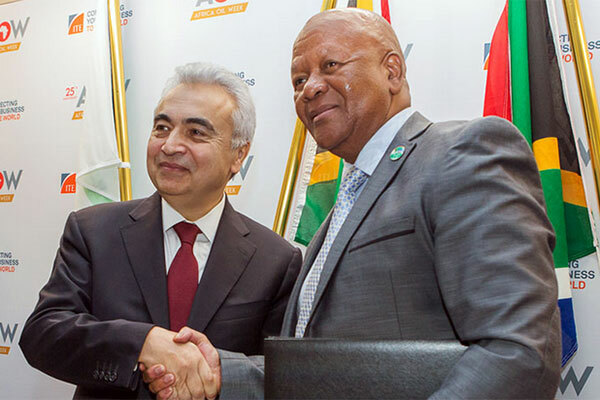 Jeff Radebe, Minister of Energy of the Republic of South Africa, and Dr Fatih Birol, executive director of the International Energy Agency, jointly announced today South Africa’s decision to join the IEA as an Association country. South Africa is a major player in African energy markets representing the largest energy consumer on the continent, accounting for about half of Africa’s electricity capacity and possessing one of the highest electrification rates. The IEA is prioritizing work in Africa in the years ahead, and South Africa will be a critical partner for launching and delivering an ambitious array of energy access, security and clean energy transitions initiatives across the continent. “I approved of South Africa joining the IEA as an Association country because this decision places us at the centre of the global energy forum with positive economic benefits for our country as we learn from IEA family members,” said Minister Radebe. Among the agreements signed by the two leaders was a three-year joint programme of work identifying opportunities for collaboration on energy statistics, energy efficiency, electrification and power system transition, renewables integration, energy innovation, and domestic gas market design. South Africa’s decision to join the IEA family is a welcome development, and critical to the advancement of the IEA’s modernization mandate, which was defined during the 2015 Ministerial meeting and is built on three pillars: opening the agency’s doors to emerging countries; broadening energy security beyond oil to natural gas and electricity; and developing a global clean energy hub, including for energy efficiency. The result has been a marked growth in the IEA family to include 30 members and 8 Association countries, and to represent almost 75 per cent of global energy consumption. In speaking of joining the IEA family, Minister Radebe extended his “appreciation to the IEA and Dr Birol’s leadership in achieving such a result in working with South Africa to become an Association country” and highlighted that he looks forward to “working together on affordable, accessible, and clean energy”.